Autostart products are available through authorized dealers located in Canada and the U.S. 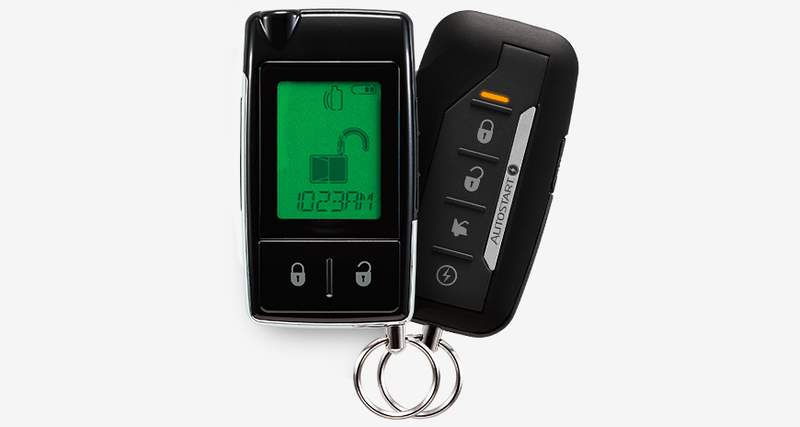 If you already have a compatible Autostart remote start system in your car, the DSMU300 or DSMU350 will add SmartStart capability to your system. Now you can remote start or lock and unlock your car just by pushing a button on your Smartphone using the exciting new Autostart SmartStart app from Directed. The simple graphical user interface gives you control over the following features of your installed Autostart remote start or security/remote start system: Lock/arm, Unlock/Disarm, Remote Start, Trunk Release, Panic or Car Finder. You can also control multiple vehicles - great for families! - and assign more than one user to control a vehicle. It's easy with SmartStart! FM is a transmission medium well known for its better immunity to noise and interference than the AM transmission. FM provides a more stable communication of digital signals, therefore allowing better range, even in the worst environment. This is why the Autostart engineering team has developed a line of two-way systems that strictly use FM signals and extended the line of unidirectional models to include FM technology as well. Virtual Tach System (VTS), a dedicated A-to-D converter, samples your vehicle’s voltage hundreds of times each second, eliminating the need for a tachometer wire connection. The VTS constantly monitors the data and readjusts itself automatically in order to maximize its capability to start the engine properly in any weather or deteriorating battery condition. By default, the remote control car starters are for manual transmission, but can be changed very easily, at the moment of installation, into automatic transmission remote control car starters. Autostart Signature Series systems employ Spread Spectrum Technology (SST), digital frequency hopping and multiple frequency transmission to insure that if a frequency is blocked, the signal still goes through. SST also uses dual error correcting systems to combat signal data corruption and minimize signal interference. The result is rock solid range of up to 5,200 feet. Data-to-Data (D2D) allows remote starters and hybrids to seamlessly communicate with their matching XpressKit interface. XKLoader3 uses Bluetooth® connectivity to create a powerful link between you and thousands of vehicles and consolidates multiple tools into one small device that is controlled by your smartphone or tablet. The XKLoader3 is compatible with all next generation technology platforms including DBALL2 and Directed Digital Systems, as well as VIP4.5 or higher. Requires Directechs Mobile app (not included, but available as a free download for iPhone and iPad from the App Store and for Android devices from Google Play). *Operating range based on line-of-sight unobstructed testing under ideal conditions. Actual range will vary due to local conditions including, but not limited to, environment, terrain, physical obstructions, vehicle location and orientation, interference and other possible impediments.